Developing Restaurant Layouts is very important and responsible moment in restaurant construction and designing. Now it's very simple and fast process thanks to the Cafe and Restaurant Floor Plan solution from the Building Plans area of ConceptDraw Solution Park. Cafe and Restaurant Floor Plan Solution provides wide variety of predesigned vector stencils included in Cafe and Restaurant library. Simply drag desired of them from the library and arrange according to your needs on your restaurant layout. 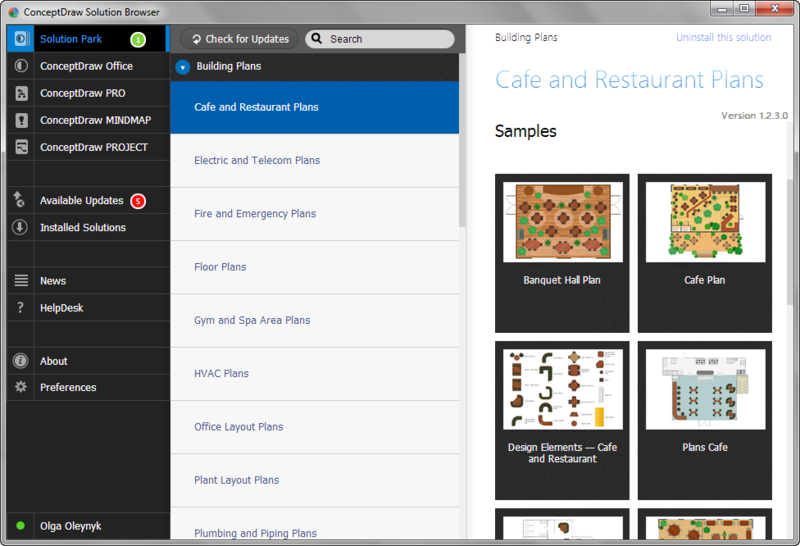 You can also quick start with predesigned templates and samples of Restaurant Layouts available from ConceptDraw STORE. 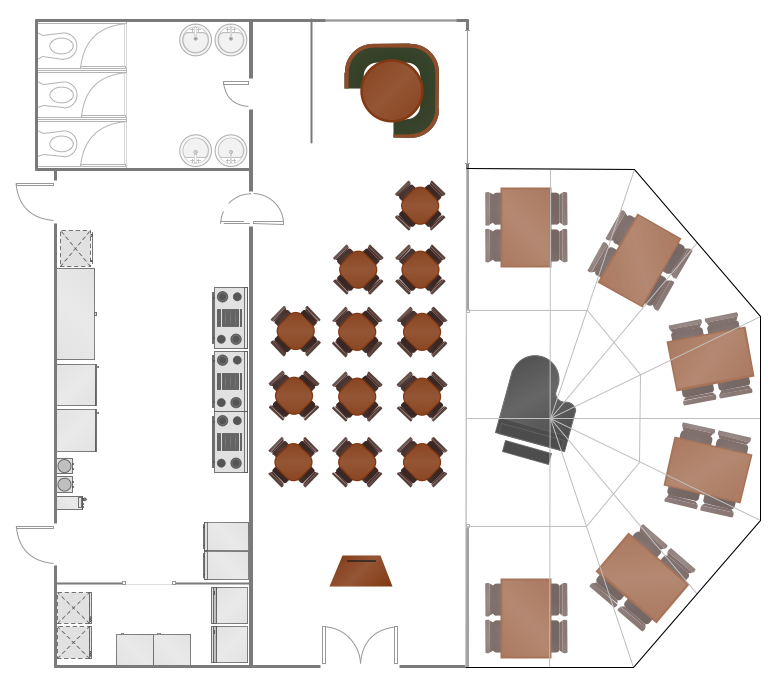 This sample was created in ConceptDraw DIAGRAM diagramming software using the vector objects of Cafe and Restaurant library from the Cafe and Restaurant Floor Plan solution. 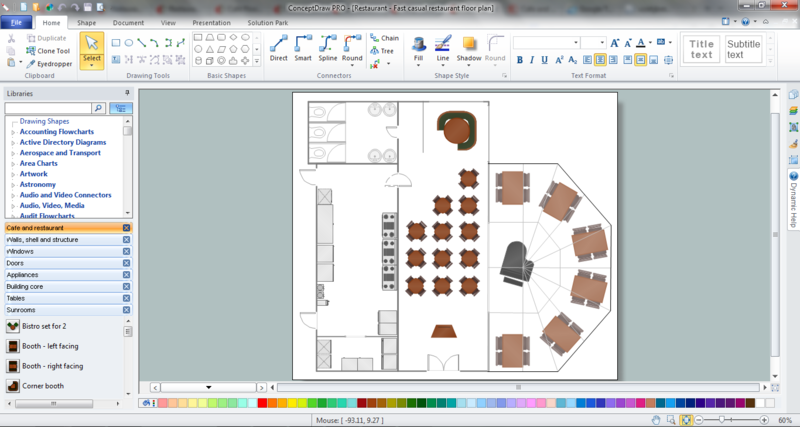 Note how clearly ConceptDraw DIAGRAM allows you to place the furniture, tables at the equal distance on your Restaurant Layouts. Create port terminal plans use the appropriate stencils with shipping and receiving design element.